This 160-acre park along the Seneca River/NYS Barge Canal is part of the eastern portion of the Seneca River Crossing Canal Historic District and is designated on the National Register of Historic Places. 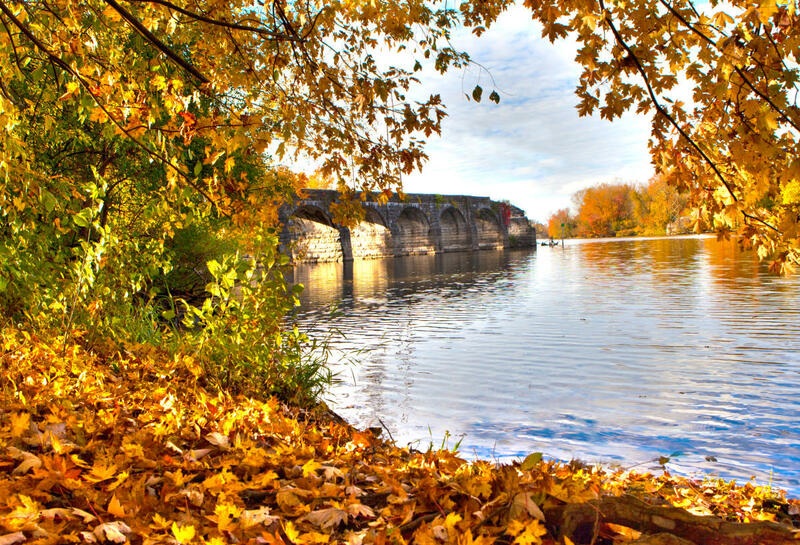 Eleven nature walking trails meander through the natural and man-made landscape which includes the magnificent Richmond Aqueduct, the second largest aqueduct on the Erie Canal. Original towpaths along the historic remains of the original Clinton's Ditch, the Enlarged Erie Canal, and the Cayuga-Seneca Canal tell the 200-year evolution of New York State's Canal System. Enter the park off Route 90 on High Street or Route 31 from High Street to Chapman Road. Enjoy walking, biking, cross-country skiing, bird watching and fishing.